Will Congress Heed Trump’s Call To Nix Legal Aid Funder? 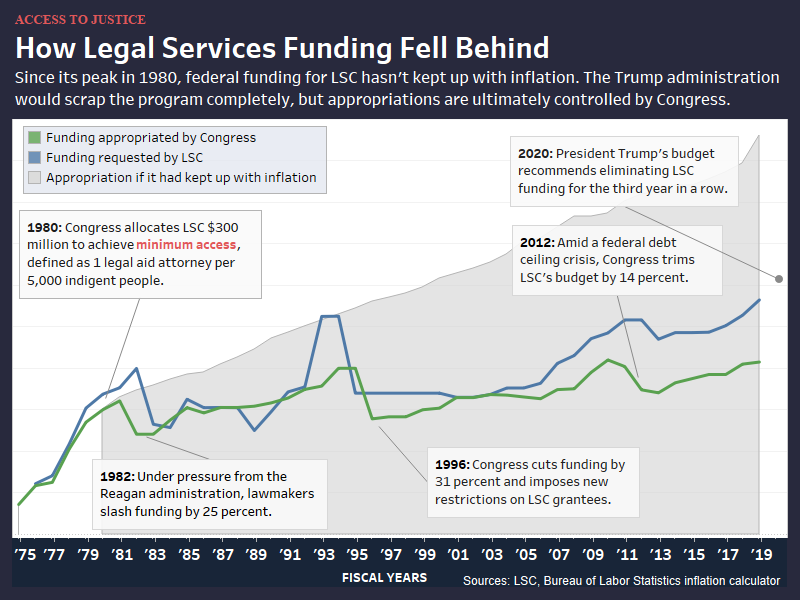 F or the third year in a row, President Donald Trump’s annual budget calls for the elimination of the Legal Services Corp., but advocates for America’s largest single funder of legal aid services remain hopeful that lawmakers will again rebuff that recommendation. The proposal comes despite the fact that Congress, which holds ultimate appropriation authority, has denied both of Trump’s previous attempts to can the LSC. Lawmakers have actually increased LSC funding each time the president recommended nixing the program that funds 132 legal aid programs, including many in states with few, if any, alternative providers. LSC President Jim Sandman told Law360 he is “optimistic” that bipartisan support will continue to win the day on Capitol Hill. But according to White House documents posted online last week, LSC — to which Congress appropriated $415 million for the 2019 fiscal year — should be eliminated as part of the administration’s plans “to move the nation towards fiscal responsibility and to redefine the proper role of the federal government.” The bid is the most recent example of efforts to stymie the LSC, which have come up repeatedly over the past 40 years. White House representatives did not respond on the record to requests for comment about the budget, which suggests granting LSC $18.2 million to conduct “an orderly closeout” in 2020. The sum pales in comparison to LSC’s 2020 budget request, which calls for $593 million, or roughly .01 percent of the administration’s highest-ever $4.7 trillion suggested national budget. “Defunding LSC promises only to severely exacerbate the disparity in access to justice that already exists for families that cannot afford to pay for legal services,” she said. 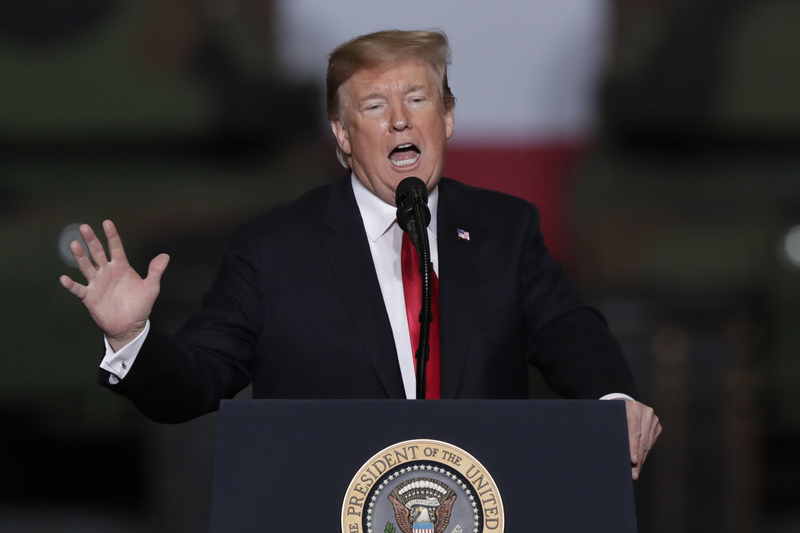 ABA President Bob Carlson told Law360 that despite Trump’s budget, he’s expecting an increase in funding, in line with the previous two bumps of $25 million in FY 2018 and $5 million in 2019. A spokesperson for Rep. Fred Upton, D-Mich., co-chair of the Congressional Access to Legal Aid Caucus, told Law360 on Thursday that the letter is still being circulated among House members. A 2017 letter supporting LSC garnered 148 signatures from both sides of the aisle, helping secure $410 million in the following year’s budget. But not all legislators disagree with axing LSC: At least two sitting representatives have previously proposed defunding the organization over fiscal responsibility concerns, and scores more have voted for it. That proposition, similar to one Scott proposed in 2011 and a follow up attempt in 2014, garnered just 122 votes and failed to pass. Scott’s office did not respond to repeated requests for comment on Trump’s current budget proposal, but it contained the same line of reasoning for slashing the LSC as his bids did. One White House budget document noted an October 2017 inspector general report that found LSC grantees spent $17,896 in unjustified expenditures for “floral arrangements, musical entertainment and cake orders” used to recruit private attorneys. “Even those who believe in devolution often don’t want to be misconstrued as opposing the general goal of full access to legal representation,” Riedl pointed out. At the heart of the proposal is the idea that eliminating the LSC “would put more control in the hands of state and local governments that better understand the needs of their communities,” according to White House budget documents. Carlson, however, noted that not every state funds a legal aid office, leaving many localities to rely on pro bono work that can’t always keep up with demand.